Japanese food probably isn’t the first cuisine that springs to mind when you think of the Gold Coast, but it’s certainly been booming - from casual diners and trendy izakayas to extravagant feasts (and more options to come when 8 Street opens soon!). Whether you’re craving katsu or sashimi these places are sure to get your rice sticky when it counts. 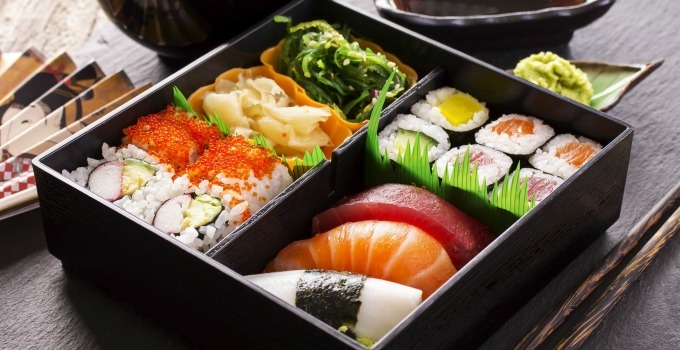 If Japanese is what you’re craving then be sure that you’ll be nori-ing on the finest when you come here. With monthly specials like spicy beef brisket ramen and a classic menu that never fails, you’ll feel like you’re sitting in the middle of Toshimaen. If plates of gyoza, bowls of ramen and edamame make you weak at the knees, then schedule a physio because Danbo albeit the new kid on the block is soooy good. If you’re ramen lover, do yourself a favor and try the rich ramen here. This hard and fast eatery is good when you’re in search of umami but are a little short on the money. Check these guys out for $8.90 lunch specials. With an interactive sushi bar, Queensland’s largest whiskey selection and meats grilling over binchotan charcoal seven days a week, you’d better make your way down to the prestigious Japanese Izakaya – Yamagen. Boasting two chef hats, Kiyomi is a must check out for any Japanese lover. With menus changing seasonally, you can’t go wrong with their seven-course Omakase menu – just be prepared to open your wallet. Hibachi meats, sushi, nigiri and a show all at once, that’s what you’ll get at this budding teppanyaki restaurant. Prepare yourself for a giggle before you come here because the chefs are absolutely hilarious. Open for dinner 7 days a week, this place is perfect for any occasion. All about authenticity, Itoshin has been in the Japanese game long before instagram was filled with sushi dates and ramen. Come here and enjoy loads of fresh, high-grade sashimi and a great sake menu to match. One of the trendiest spots on the Gold Coast, this place is perfect for a date and a drink, but most of all this place is known for its creative Japanese cuisine made for sharing, from the sushi bar to the robata grill. It’s time to wok and roll!